It seems like everyone has been talking about the ketogenic (“keto,” for short) diet lately. I’ve seen tons of keto recipes popping up on Pinterest. I’ve seen all kinds of blog posts and podcasts filling my social media timelines. I also have a few friends trying the diet. But what is it, exactly? Is it a sustainable way of life, or is it an actual diet — in the four-letter sense? Because, you know, we’re pretty strongly anti-diet around these parts. I decided to do some research and find out. I interviewed Dr. Jeff Volek, a leading researcher on the keto diet. I also checked out an episode of Fit Bottomed Dude Dave Smith’s podcast that featured another expert, Ben Brown, who has a background in personal training and nutrition. From this research, I found a few simple answers: The keto diet is a low-carb, relatively high-fat diet, and when practiced correctly, it forces your body into fat-burning ketosis. Your body burns either glucose (sugar) or ketones. “​When you switch over to a primarily high-fat diet, and you do it for an extended period of time, then what your body does is it stops being able to rely on that glucose as fuel and it starts to rely on ketones, which is the metabolic byproduct of breaking down fats as fuel,” Brown explained on Smith’s podcast. The diet mostly consists of non-starchy vegetables, nuts and seeds, healthy oils and fats, cheeses, eggs, meats and small amounts of fruits. The diet does not include foods such as pasta, grains, or anything sugary. The diet also does not include calorie counting, though most people do not overeat while on the keto diet because they are satiated by the additional fats consumed. So, now that we know what it is and how it works, I have to ask myself … is it something I want to try? It certainly sounds like quite the commitment. But, of course I’m curious about this seemingly super effective diet I’ve been hearing all about, and I’ve definitely had some interest in testing it out. Real talk: a high-fat diet sounds pretty awesome, to be honest. But, I have to ask myself, “Why?” As a good Fit Bottomed Girl, I know better than to fall for a fad diet. Sure, I could drop a few pounds quickly, but is that really necessary? Is that really who and how I want to be? Not really. What I truly want is a way of eating that I enjoy, that leaves me feeling satisfied — and that I can reasonably expect to do for the long term so any weight I lose, I’m able to easily keep off without feeling restricted (which is something Jenn and Kristen offer, along with Dave Smith, in their 10 in 4 Challenge). One thing is certain: the experts have conflicting views on the sustainability of the diet. Dr. Volek says the diet is sustainable indefinitely. 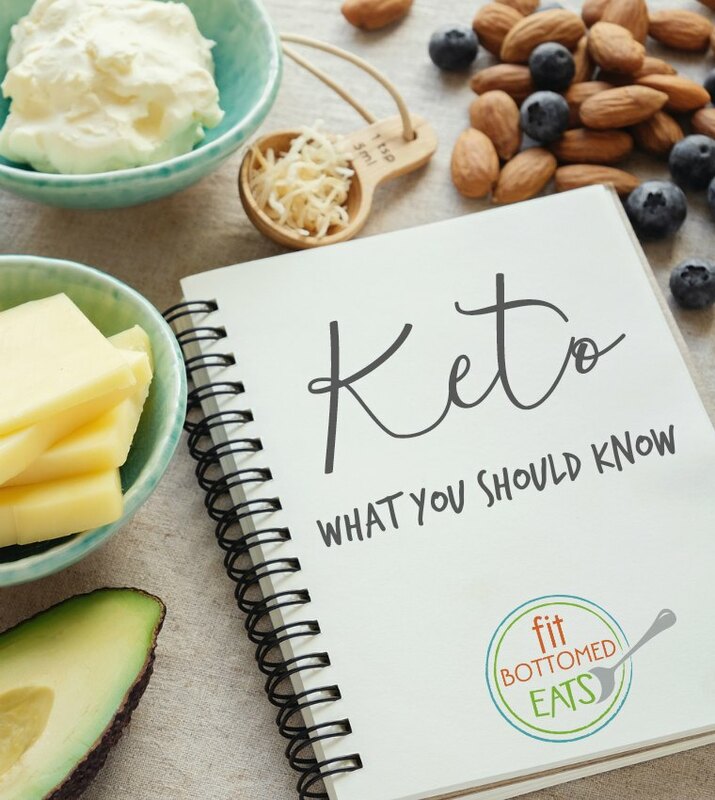 It’s safe to eat a well formulated ketogenic diet forever, and some people who have seen drastic medical changes because of this diet must maintain their nutritional ketosis to continue to see those results. I don’t have an argument explicitly for or against the diet as a whole. To me, it sounds interesting and effective short-term, but in the end, I know it’s not a lifestyle I could realistically expect to sustain.